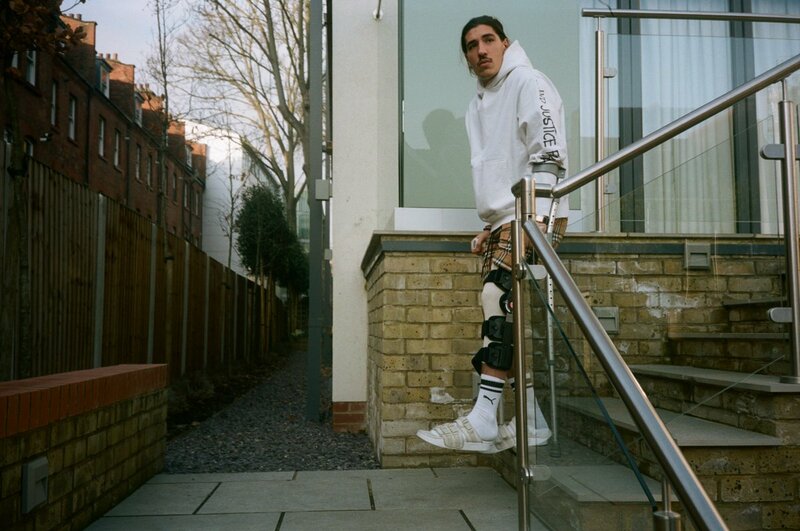 Added to the Arsenal injury list is Hector Bellerin as he is now set to be out of action for the rest of the season following a rupture to his left knee ligament. A fall in the process of challenging for the ball during Saturday's big game that gave the Gunners a 2-0 victory over Chelsea resulted to a serious injury issue requiring the Spanish international to be taken off on a stretcher in the 70th minute of the big game. As feared on first sight, later scans revealed that Bellerin has suffered an anterior cruciate ligament injury which usually keeps players on the sideline for so long and as per confirmation from the club, the right-back will undergo surgery and is expected to be on rehabilitation for between six to nine months. He is done with pitch work for the season and has a high tendency of missing out of the start of the 2019/2020 campaign. The 23-year-old has become the third on Arsenal's list of long-term absentees with Rob Holding and Danny Welbeck having previously faced similar situations last year. This is not a nice one for the team and player because he only recently recovered from a fitness problem that kept him out of action in the festive period. This might mean another series of nightmare for Arsenal. In his absence, they struggled at the back and lacked pace on the flanks. Every replacement available will for sure not deliver as much as he would. Stephan Lichtsteiner is error-prone maybe due to his old age, Ainsley Maitland-Niles still has a lot to learn, same as Carl Jenkinson who may also be called upon if need be. The first big test without Bellerin comes on Friday when Arsenal play Manchester United in the fourth round of the FA Cup. The Red Devils have been on superb form since switching managers and with our shabby defence, we may come out of that fixture with lots of conceded goals. The Arsenal injury problem is becoming a menace year in year out but since it is part of the game like Unai Emery has clearly stated, we just have to adjust and do the needful. The transfer window is still on, so we still have time to recruit.